I can't log into Tailwind on Hootsuite. Help! 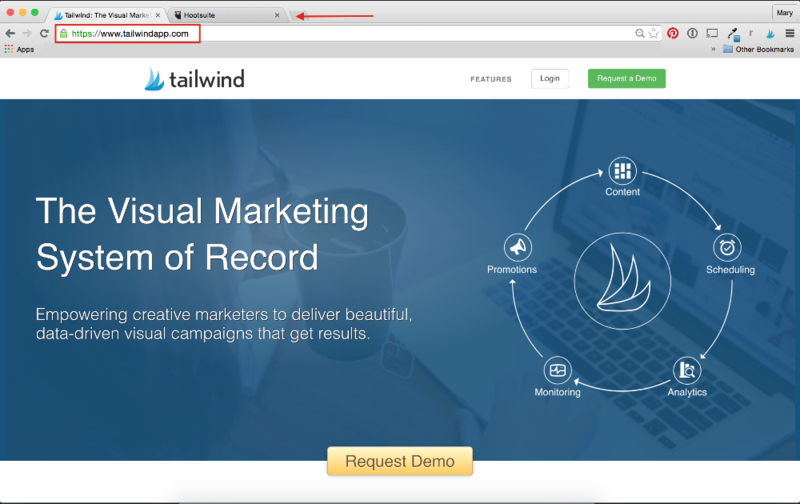 See how to use Tailwind on Hootsuite, step by step. If you are having trouble logging into your Tailwind account on Hootsuite, try these tips to access your account. Welcome to Tailwind! Now, lets get you logged in. 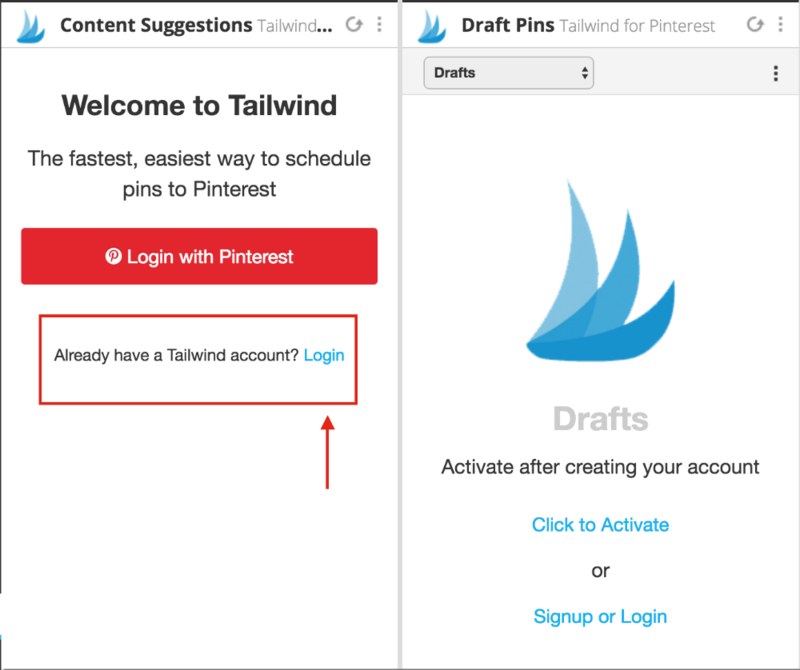 If this is your first time logging into Tailwind, select "Login with Pinterest." 2. Once you see this popup, select "Authorize app." 3. You will then create your login information by entering in an email and password. Select "Complete account" to complete this step. 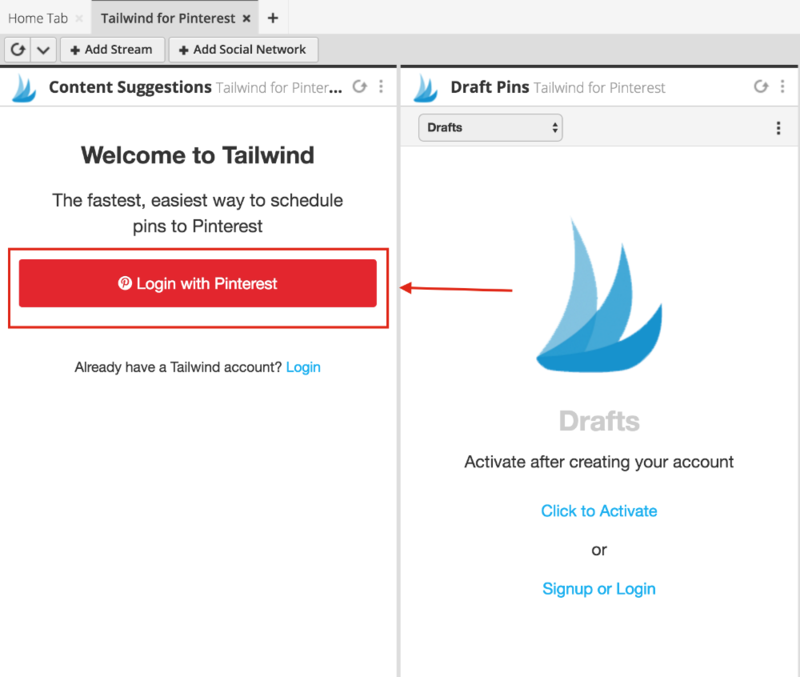 Helpful Tip: Choose login details that you'll remember, because Tailwind login information is not automatically the same as Pinterest login details. 4. 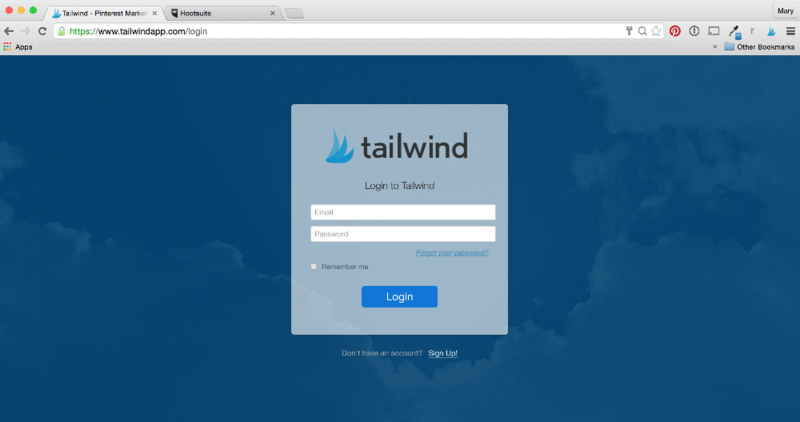 Congratulations, you now have a brand new Tailwind account! 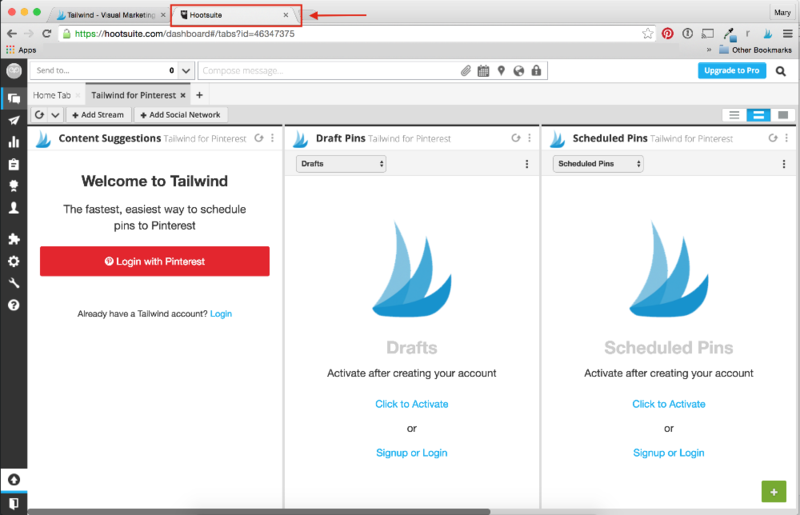 Get to know Tailwind in Hootsuite better by selecting "Get Started." 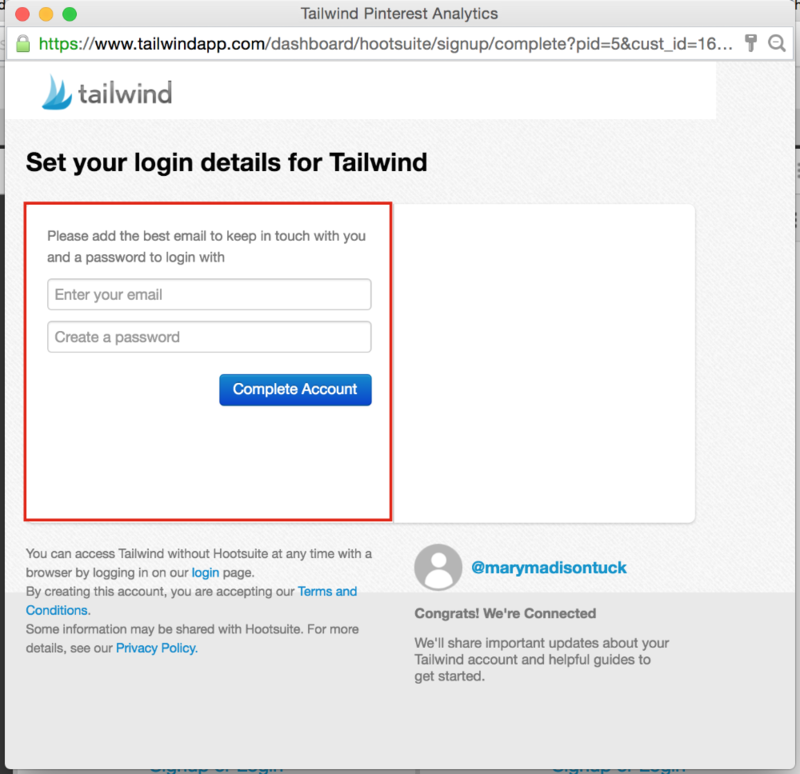 Did you already create a Tailwind account, but now you are having trouble logging in? Follow these steps to get logged into your account. 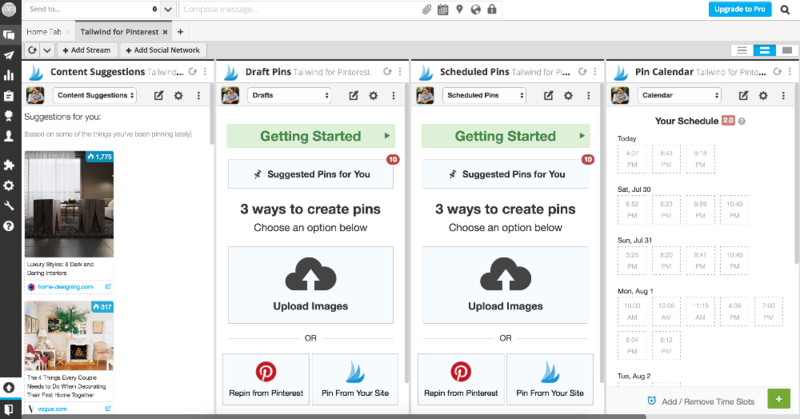 Double check that you are selecting "Login" instead of "Login with Pinterest." 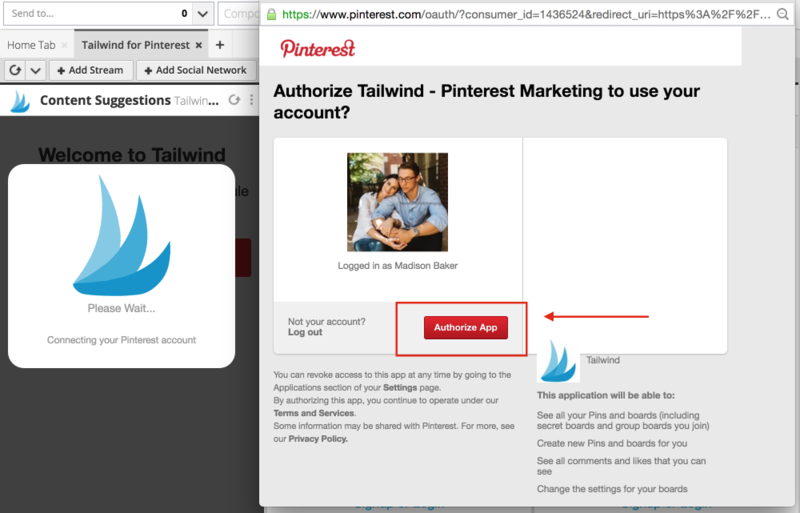 Note: If you select "Login with Pinterest" Tailwind will attempt to create another account for you, which will not work since there is already an account associated with your Pinterest account (the one you created earlier). 2. Log into Tailwind on the Tailwind Dashboard, by clicking "Login" on the top of the page. 3. Once you are logged into your Tailwind account on the Dashboard, head back over to Hootsuite. 4. Refresh the Page. You should now be automatically logged into your Tailwind account on Hootsuite. If you are still not able to log in, try going to Hootsuite on another browser (Safari, Chrome or Firefox) and see if you are able to successfully log in. Note: If none of these steps helped you get logged in, please email us at help@tailwindapp.com. Please include what steps you tried (from tips above) and where in that process you were not able to log in.